Just by flying in to Jackson, Wyoming, you’re already doing something amazing… landing at the only airport located within a National Park anywhere. 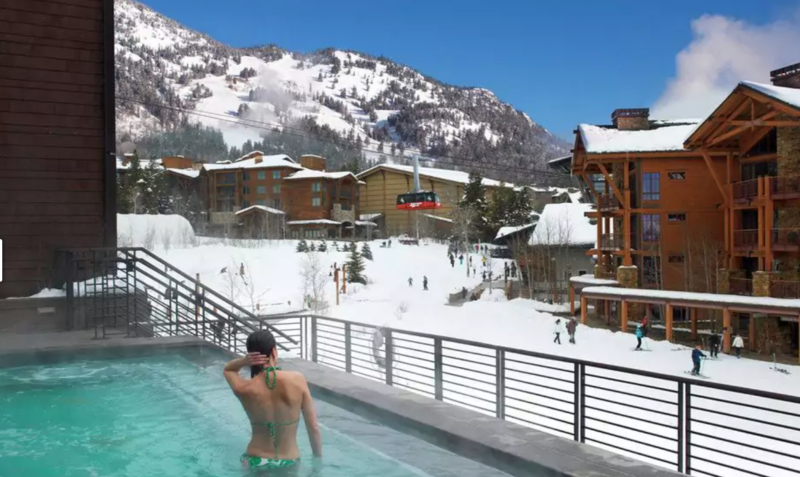 While it’s a breathtaking year round destination, most visitors glorify Jackson Hole for its precious powder skiing. And it definitely has that in abundance! But the town and its surroundings also have a bounty of other spectacular adventures and indulgences. Here are eight favorites, apart from those that require skis and snowboards, of course! “Jackson is one of the best places in the world to see wildlife animals everyday,” says Wild Things of Wyoming Founder, Guide, and Author Kurt Johnson. 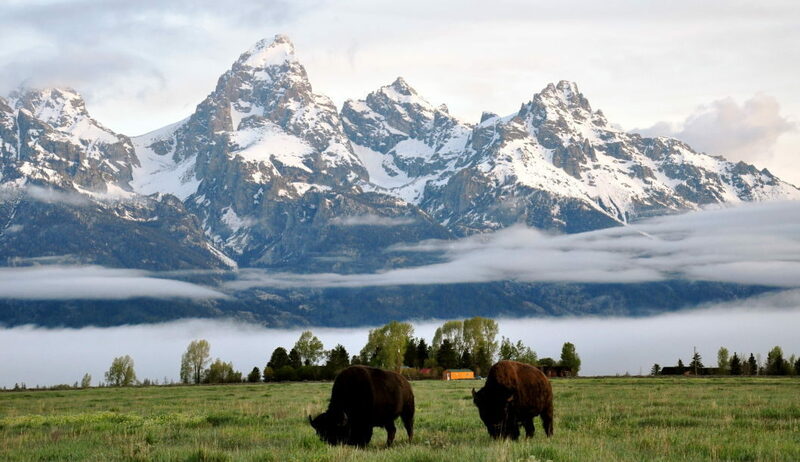 Made up of protected federal lands and national forests, Grand Teton shelters a wide variety of animal populations, including Bison, Big Horned Sheep, Wolverines, Trumpeter Swans and Eagles. It’s the only intact ecosystem in the lower 48 states that looks as it would have before European settlement. In this ever changing world, that’s something worth seeing! Adjacent to Grand Teton National Park, and offering shelter to the same ecosystems, the mission of the National Elk Refuge is a bit different. Even before the settlement of the area, a natural migration happened every Fall and Winter. Now the U.S. Fish and Wildlife Service, at the National Elk Refuge, provides a cold weather habitat for the migrating elk and other herds. 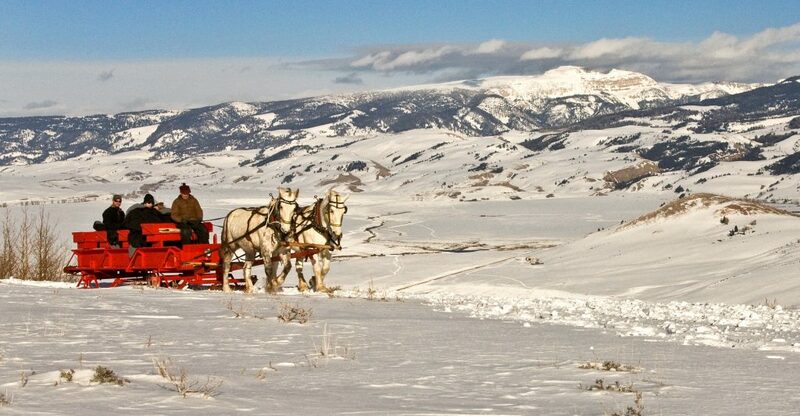 One of the best and most popular ways to get close to the animals and explore the refuge is by taking a sleigh ride, run mid-December though early April. Unlike the activities above, this one’s not an actual animal. 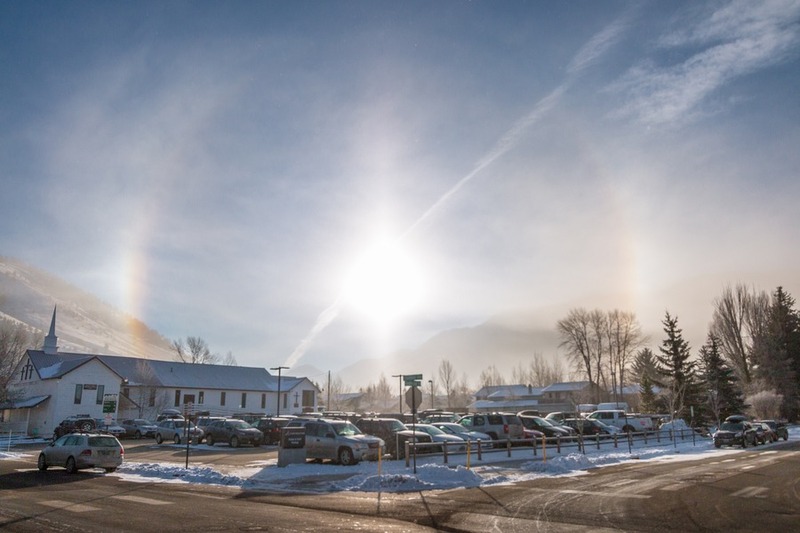 No one knows exactly why they are commonly called sundogs, but these atmospheric optical phenomena are a sight to behold! Better than a rainbow, each consists of a bright spot to the left and/or right of the Sun. Two sun dogs often flank the Sun within a 22° halo, with particles of ice floating around in the air. 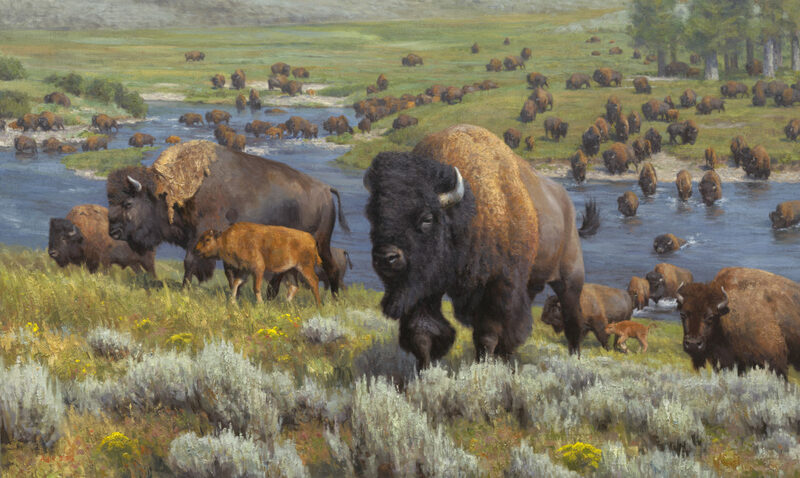 Overlooking the National Elk Refuge just outside of Jackson Hole, The National Museum of Wildlife Art holds more than 5,000 artworks representing wild animals from around the world. You may be surprised – and delighted – to find works by prominent artists such as Georgia O’Keeffe, Andy Warhol, Robert Kuhn, John James Audubon, and Carl Rungius at this exceptional gem of a museum that started as a private collection… and now houses the largest collection of wildlife in the world. While you’re there, don’t forget to say Hello to the Chief! Because some say the point of skiing is… to après ski! And Jackson Hole has plenty of prime places to do it. 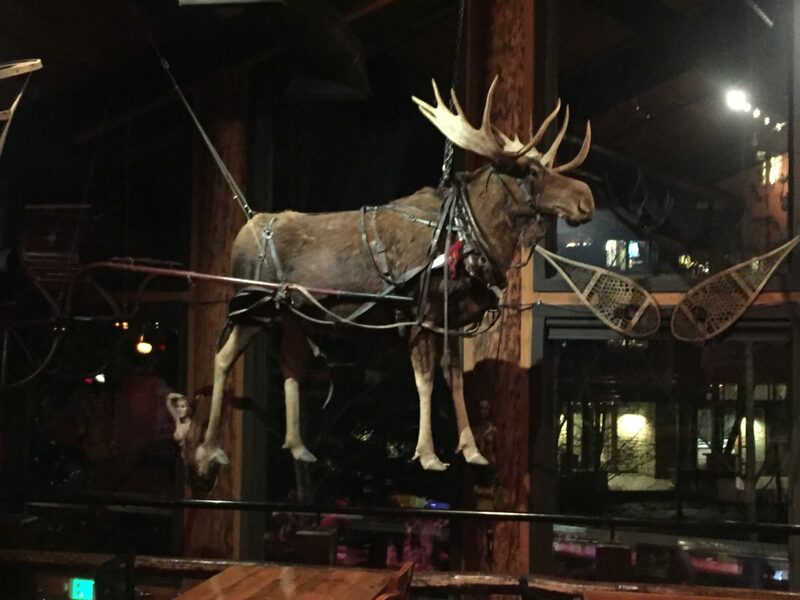 The Mangy Moose is one of the oldest après ski spots in the village, and remains popular for ambiance, local musicians, and ample libations. The Spur, on the ground floor of Teton Mountain Lodge, offers all of that, albeit a little more upscale — and we’ve heard the loaded nachos are an absolute necessity. If you’re up for going to the bars downtown, you can get sauced in the saddle at Million Dollar Cowboy Bar while you check out all of the venue’s wacky and western memorabilia. Or get a little history with your extended happy hour, marveling at some 4,000 Morgan silver dollars at the aptly named Silver Dollar Bar located inside the Historic Wort Hotel. A restorative massage works wonders for recovery after a hard day on the slopes. Luckily enough, there are a couple of exceptional spas just at the base of the village that offer treatments to alleviate those muscles aches. Teton Mountain Lodge & Spa has a menu of global rituals and massage therapies; we found the Himalayan Salt Stone Massage — that resonates with the earth’s frequency — particularly intriguing. Next door at Hotel Terra’s Chill Spa, the signature Herbal Poultice Massage is renowned for balancing the body and mind, while the simple Boot Recovery Treatment rejuvenates blood flow and energy back to those overworked lower legs. “Dangerous toys for big boys” is the slogan at the Mountain Men Toy Shop on Center Street. The shop sells knives, axes, and other rugged gear, as well as fun and interesting gifts for men and women. But these guys know that sometimes you just have to test out a tool before you commit to it. 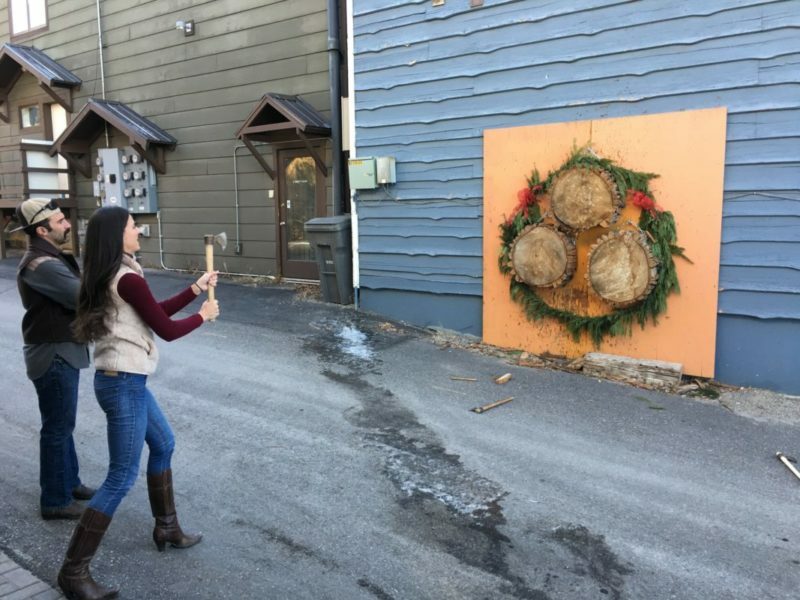 As of this writing, the Mountain Men were practicing their tomahawk aim on some tree trunk targets… because “throwing our tomahawks is the newest, oldest, most fun thing going for hanging around at camp or playing in the backyard,” said Corey Milligan of Mountain Men Toy Shop and New West Knifeworks. Ride 4,139 vertical feet to the top of the Tetons on the Jackson Hole Aerial Tram to enjoy breakfast at Corbet’s Cabin at the summit. 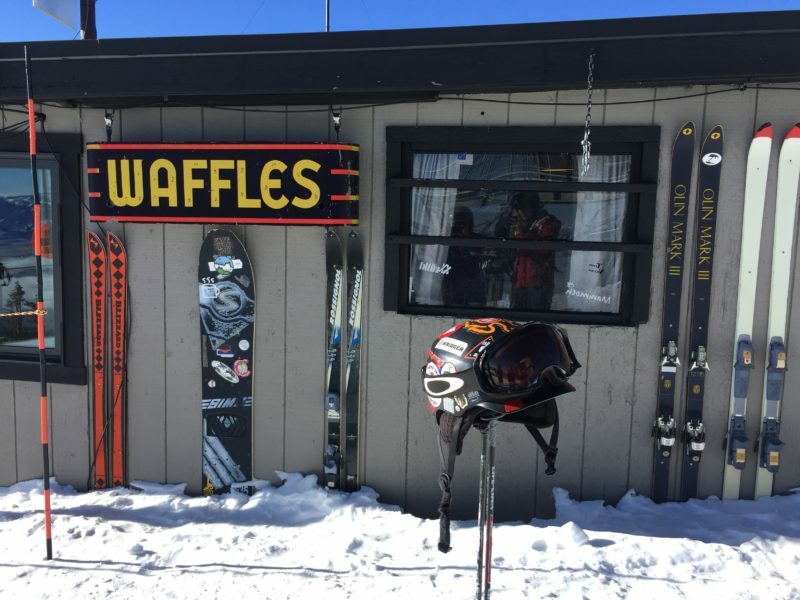 Here, you’ll feast on some of the best waffles you’ve ever had, made to order with delicious toppings like brown sugar butter, nutella, peanut butter and bacon. You don’t need skis or a snowboard to get there — or to get down — but you may want them. At the top of the world, that powder sure looks perfect to play in.